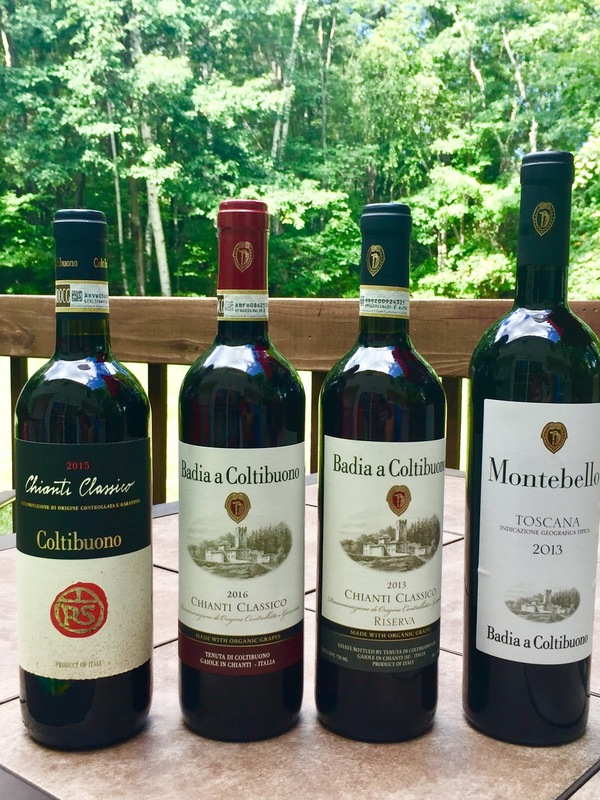 As we’re anxiously awaiting the cool weather to arrive here in the Boston area, or should I say New Hampshire now since my recent move, I’m starting to get back in to a red wine frame of mind and this month’s Italian Food, Wine & Travel group is highlighting some Italian fall reds to get the season started. We’re going to visit one of my favorites, if not my most favorite, grape of Italy.....sangiovese. 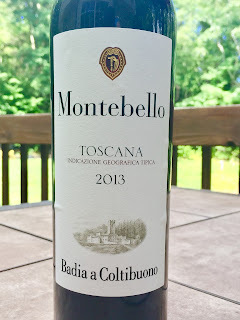 I’m sharing 4 different styles of sangiovese from the producer Badia a Coltibuono from the Tuscany region. 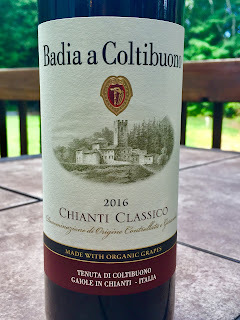 The Badia a Coltibuono winery started back in 1846 when the land was bought by Michele Giuntini, the great grandfather whom is also a cousin of the Selvapiana family of Rufina. Today the winery is run by the 7th generation of the Stucchi Prinetti family, Roberto and Emanuela Stucchi-Prinetti. 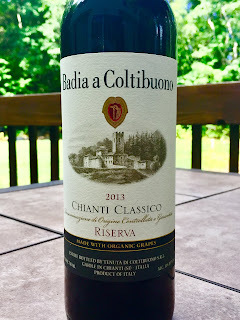 The winery is named after the Latin name “Badia a Cultus Boni” meaning the “abbey of good culture”. The Vallombrosan monks settled there in 1051 and agriculture was their way of life and primarily utilized the land for for olive oil and vines, which it’s still used today for. They were forced to sell in the 19th century. Today, in addition to the winery, there is also a cooking school operated by author, Lorenza de’ Medici di Ottajano, whom has written a boatload of cookbooks that I’m going to be seeking out myself to try. Badia a Coltibuono is located in Gaiole in Chianti, which falls within the Chianti Classico region of Tuscany. It’s one of the main communes of the Chianti Classico territory that falls within the province of Siena located between Siena and Florence. Gaiole in Chianti, like many of the other charming towns of Tuscany, is surrounded by rolling Tuscan hills and vineyards stumbling across a number of castles and churches in a rustic setting. 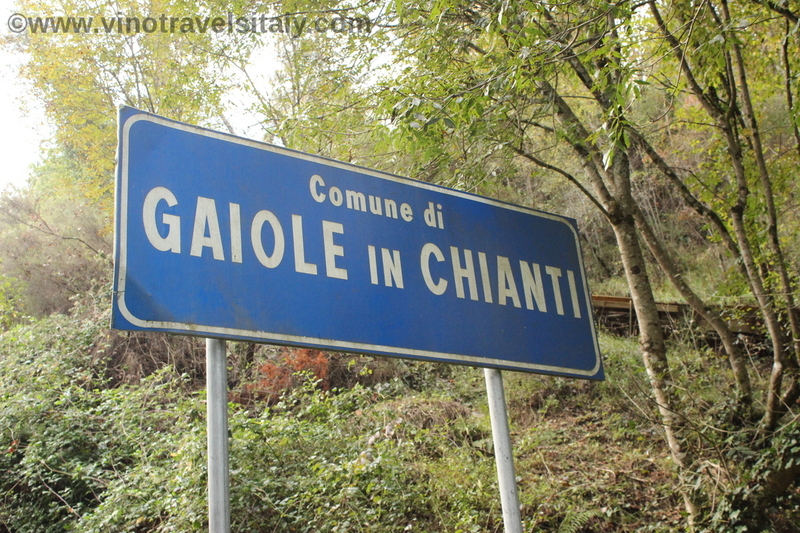 Every October held on the 1st Sunday of the month the popular L’Eroica is held in Gaiole in Chianti. Since 1997 this is a vintage bike race where only bikes built in 1987 and prior are allowed to be part of the event where they travel on gravel roads for about 209 km. Unlike normal races where many stop for water in this area I’m curious if some stop for a quick glass of vino. I would! Sangiovese is the most widely planted grape in Italy and the one mostly shared today. I personally love this grape for its many typical qualities which include cherry and plum notes backed by high acidity and firm tannins. It can be a rustic, earthy wine with elements of spice, leather and tobacco. It’s a thin-skinned late ripening grape. The sangiovese wines of the past didn’t have the greatest reputation where the focus had been more on quantity over quality. You may remember the days of the straw covered bottles known as fiasco. 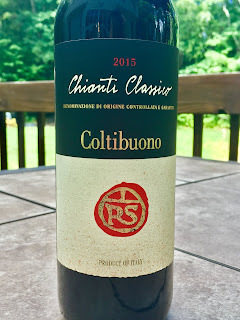 Thankfully in recent decades sangiovese has made some major improvements and have shifted away from the days of quantity (well not all wineries), but there are plenty of great producers out there making quality sangiovese today. Sangiovese is primarily found in the central regions of Italy including Tuscany, Emilia Romagna, Lazio and Umbria. It’s made it’s away around the world to other wine producing regions like the US (primarily California) and Australia. 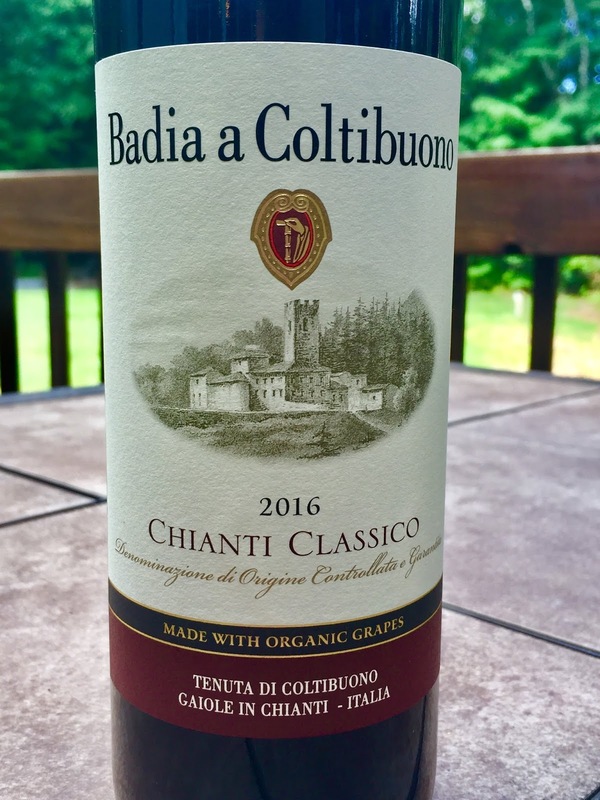 The Badia a Coltibuono wines that the Stucchi-Prinetti family produce are certified organic using natural yeasts. The Favorite Italian Red Wines For Fall #ItalianFWT event will be Saturday, September 1, 2018. 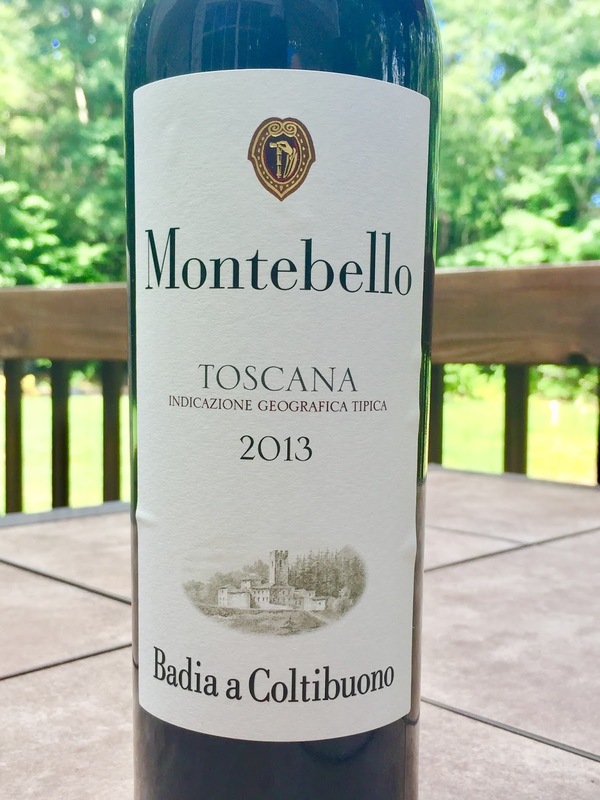 The following posts will go live early that morning and you can follow along on a Twitter chat — using #ItalianFWT — from 10 a.m. – 11 a.m. CT.
Jeff at FoodWineClick gets real with his directive to Finish Up the Rosato, It's Barolo Time! *These wines were provided as samples, but opinions are all my own. Imported by Dalla Terra Winery Direct.